Today, we released our new study of more than 1,000 U.S. consumers, highlighting shopping preferences and sentiment this holiday season. One common theme that emerged is that Americans continue to be all about “instant gratification”; even benefits like Amazon Prime can’t top the pleasure and convenience of a purchase in-hand at check out. But when shoppers visit the store is starting to matter. REI’s bold move to #OptOutside on Black Friday—closing its doors and website and paying its 12,000 employees to go outside—reflects they primary sentiment we found in our survey: Two-thirds of respondents disliked retailers being open on Thanksgiving Day. Whatever your thoughts are about the kick off to the holiday shopping season, the store remains the centerpiece for consumers. In fact, retailers that implement simple digital innovations to meet the increased volume and needs of shoppers this season will reap big rewards, sealing the fate of the brick-and-mortar store as a key competitive advantage. This holiday, the number one reason that Americans will head to the store is to get an item immediately. But long lines at checkout mar the experience. In fact, 73% of respondents cite this as their biggest frustration. What can stores do to deliver immediate satisfaction and convenience? Mobile check-out in store and click-and-collect were cited as welcome innovations. Once in store, U.S. shoppers (thanks to smart phones), are increasingly self-sufficient—and impatient—when stores fail to deliver the same convenient, seamless experience they have online. Over half of Americans cited out-of-stock or unavailable items as a main frustration, while 1 in 5 are frustrated by sales associates who can’t help them find what they need, inconsistent pricing and items that don’t match what was researched online. The good news: consumers welcome a digital fix to these shopping woes. For 4 in 10 shoppers, self-service kiosks to check pricing, availability and product recommendations were cited as one of the most valuable store features this holiday. As the lines between online and offline shopping continue to merge, the store remains more than a holiday tradition. New digital technologies and advances in in-store personalization can address nearly all of the frustrations shoppers experience in store. This is welcome news for traditional retailers as they strive to gain the operational, marketing, merchandising and “instant gratification” edge in their battle with Amazon this holiday and beyond. I invite you to check out our full survey results here. Essential eCommerce speaks to VP and general manager of EMEA at RichRelevance, Matthieu Chouard, about the importance of personalising the customer journey. 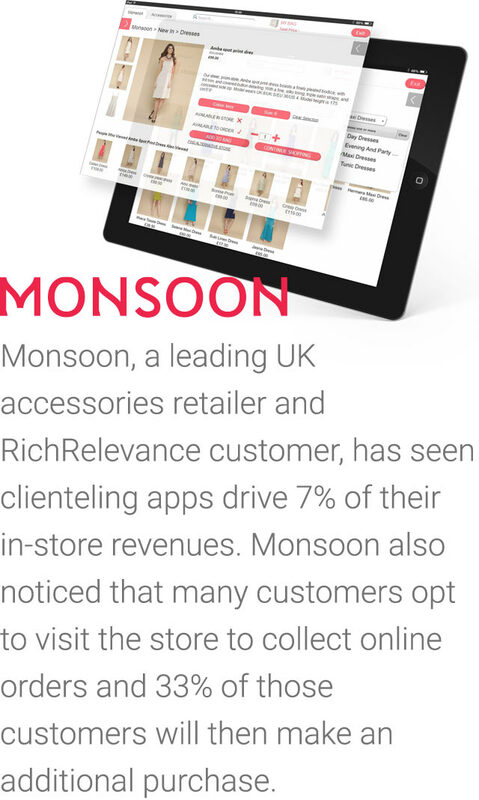 Personalisation is a technology at the top of most retailers’ minds. The ability to provide a bespoke, even boutique-style, service in order to stand out from the competition is clearly a clever move and this starts by simply recommending products online based on a customer’s taste. “If you want to make your customer happy, you have to make them understand they are unique and not part of a customer segment,” VP and general manager of RichRelevance EMEA, Matthieu Chouard, tells Essential eCommerce.